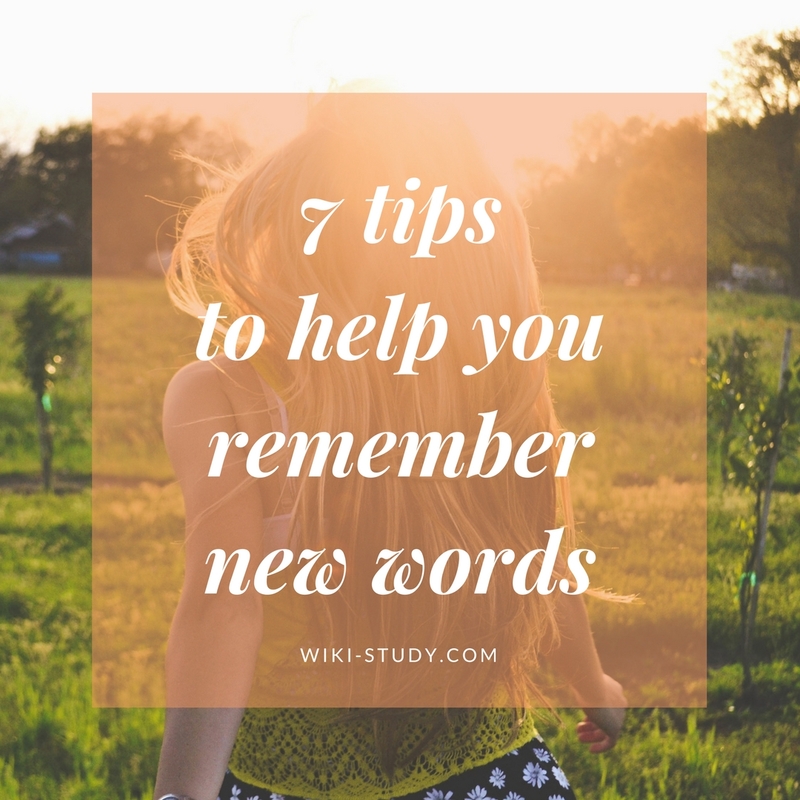 One of the most common questions from our Learn English community is ‘How can I remember new words?‘ Here are some of our top tips to help you! If you come across a word you don’t know, try to find out what it means. Look up the meaning in a dictionary or ask someone for help to understand it. Write down the meaning in English and in your own language. It’s easy to remember a new word for a few minutes – but how can you remember it after a day or a week? The trick is to use it. Use it in a sentence. Try to make a creative, memorable sentence, something you can picture and that will stay in your mind. Write down three creative sentences using the new word, then read them out loud. If it helps, you can even draw a picture to help remember the meaning of your sentence. Can you tell a story using different forms of the word? It’s very hard to remember a list of words – but it’s easy to remember a story. Sometimes it can be easier to learn a phrase than learn each word individually. So if you’re learning the word ‘focus’ you could write down the meanings of ‘focus on’ and ‘out of focus’. What does it mean to ‘focus your mind on something’ or ‘focus your attention on something’. What does it mean if you ‘lose your focus’? Now that you have the bigger picture, it’s easier to understand the full meaning of the word. Don’t forget to try using it in different tenses as well. We often remember things better when we learn ‘actively’. That means instead of just listening, or just reading, you should be active in trying to speak, read, write and listen. Now that you know what the word means and you’ve tried writing it down in different ways, tell a friend about the new word. Sometimes teaching someone else can help you remember, too. If you’re nervous about trying out a new word, practice at home first. You can even record yourself explaining the new word on your phone before you try telling someone else. Many people find playing games is a good way to help build their understanding. You could write words on flashcards and test yourself or a friend to make a sentence with each word. Or you can try describing the meaning of the word to your friend without showing them the card. Or maybe try a role play? That’s when you act out a scene, for example, if you’re trying to learn words related to shopping, you and a friend can take turns pretending to be the shop owner and a customer – how much is this? Remember you can play these games with friends anywhere in the world: Use your phone to record your voice or make a video and send it to a friend. Or record a conversation with a native speaker so you can listen to it later. Don’t try to do too much too quickly. It’s very hard to remember a long list of words. Maybe it’s better to learn one word a day, or a list of eight words a week. It all depends how much time you have to practice. Be realistic about what you can do each day. You don’t have to be perfect; remember that even native English speakers make mistakes. Successful learners have clear goals, are motivated, and stick to their plan – to keep trying! Don’t give up learning a new language. Did you know that if you sleep within a few hours of learning something new you’ll be better at remembering what you’ve learned? So that’s a great reason to practice new words before bedtime. Let your brain do the work while you sleep! But don’t forget to review your new words and phrases in the morning too.